Our world is facing a major crisis: waste. Landfills are piling up at an alarming rate. While recycling has become more common in households across the globe, we found that right here in the town of Sayville there is a lack of recycling. So we decided to do something about that. Even though America accounts for just five percent of the world population, we create a staggering 30 percent of the world’s waste. Landfills are overflowing with waste that outputs large amount of methane gas. This leads to a greenhouse gas effect that is heating our planet at an alarming rate. In addition, only about 9% of plastics are being recycled at the moment. This means that more than 90% of plastics are simply sitting in landfills — and they will stay there for hundreds if not thousands of years. 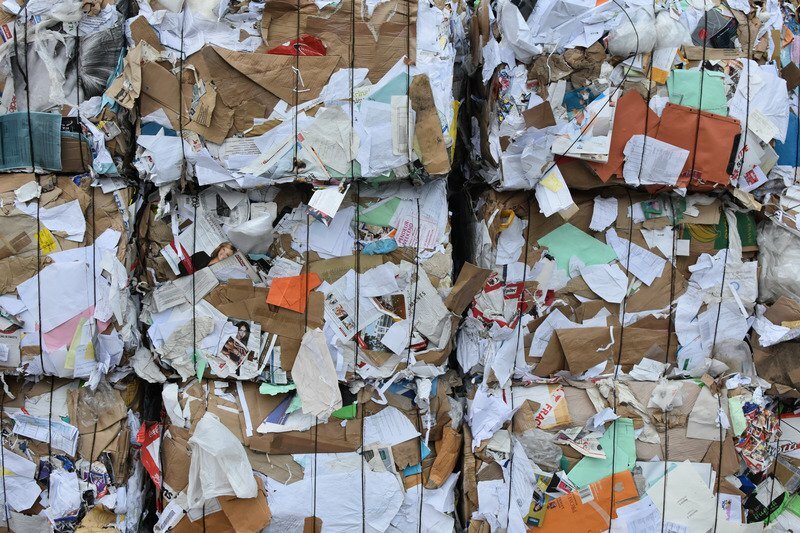 On top of low recycling rates in the United States, our largest recycling importer, China, has been tightening the types and amount of foreign recycled goods. So much so, that upwards of 111 MILLION tons of plastics alone will be displaced by 2030 (UN Environment). With numbers like these, it’s clear that we need to get serious about our waste. Here at Cornucopia, we understand a key fact: there is no planet B. Even though the town of Sayville does not have a town-wide recycling program in place, we are not going to let that fact stop us from creating positive change. Working with the Town of Islip Recycling Facility, we’ve created a drop-off recycling program right here at Cornucopia! Our number one goal is to make sure that our program is completed with the proper education about recycling. Many of us realize that you can’t simply toss anything plastic or paper in your recycling bin. We determined what items are acceptable and unacceptable for recycling in our area, and we created a list of best practices that ensure our recyclables don’t end up in the landfill. These tips and tricks are helpful for anyone who wants to start recycling at home, too! Make sure to look for the proper plastic recycling number on every item you recycle! Plastic accepted materials for Islip are #1, 2 and 5. 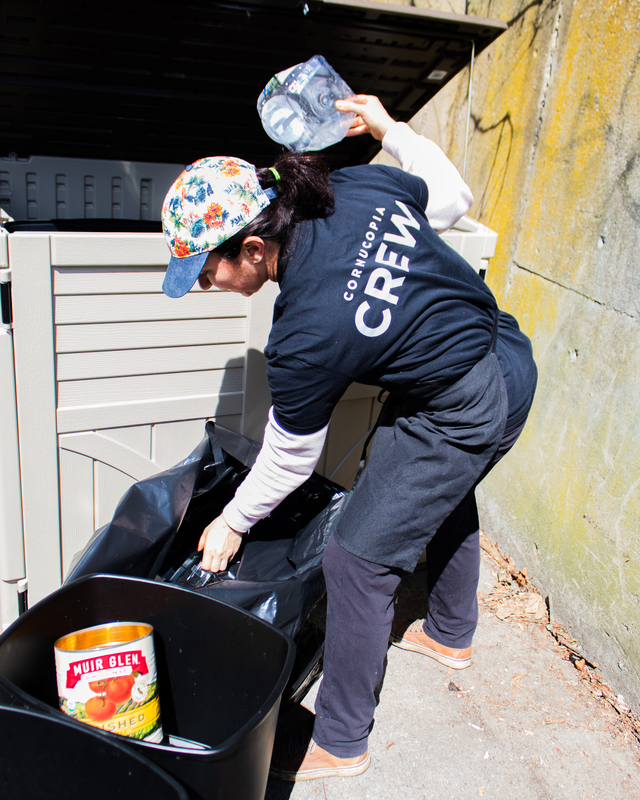 RINSE, RINSE, RINSE: Before putting your recyclables in the bin, make sure to rinse off any food particles! Plastic bags are NOT recyclable at the Town of Islip Recycling Facility. Instead, you can find where to recycle plastic grocery bags here. Recycling disposable coffee cups can be tricky! Cups typically have a thin film of polyethylene (extremely difficult to reprocess) — they will most likely end up in the landfill. Unless marked, it’s best to throw disposable coffee cups into your garbage bin. Be careful when recycling pizza boxes. The oil grease from the pizza can contaminate the rest of the cardboard. The Town of Islip Recycling Facility therefore does not accept pizza boxes. We know that a strong, collaborative community is the key to creating successful change. That’s why we are partnered with the Developmental Disabilities Institute (DDI) as our drop-off team. DDI is a not-for-profit organization that serves individuals with autism and mental disabilities. Their purpose is to help children and adults experience personal growth and development. To learn more about DDI and their work, head to their website. The facts are glaring: we need to do something now about reducing our waste before it’s too late. Since we know that there is no structured recycling program for Sayville at the moment, our goal is to get the ball rolling on town-wide recycling. 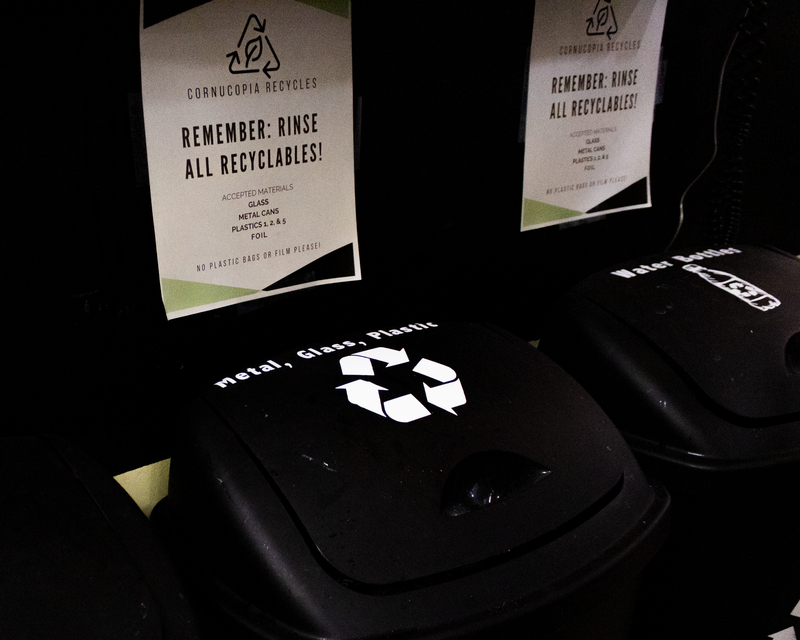 As our recycling program grows, we hope more local businesses will get involved too. We even hope to educate anyone interested to learn more about how they can recycle and be a part of the movement! If you have any questions about our recycling program, reach out to Lindsay at lindsay@cornucopiahealthfoods.com.